The Ondo State Police Command on Wednesday said it had arrested a man, Abubakar Aliu, for stealing a Toyota Sequia in Ondo town. The state Police Public Relations Officer, Mr Femi Joseph, said the suspect wore an army uniform and claimed to be a colonel when he committed the offence. 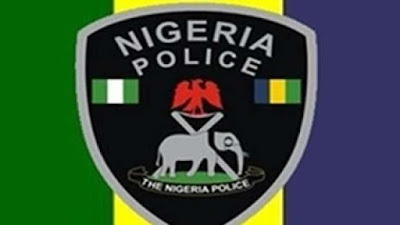 The PPRO explained that the suspect stole the vehicle with number plate, AGL 230 EH, at a mechanic workshop in Ondo town and took the vehicle to Kogi State, where he was later arrested by the police. He said, “The case was reported at the Enu-Owa Police Division, Ondo, on October 5, 2018, and later transferred to Area Command in Ondo. “It was alleged that one Abubukar Aliyu, who claimed to be Col. Farouk Aliyu, went to a mechanic workshop in the Oka area of Ondo with one Peugeot 406 car marked, LAGOS SMK 927 AGL, for repair. “Having seen a Toyota Sequia Jeep displayed for sale at the workshop, he showed interest in buying it and negotiated the price for N1.2m. He took the vehicle for a test run but did not return.